Beth Jackman, a quiet, unassuming girl from Freshwater won the first women’s surfing event at the first Australian Surfboard Titles. Held at Avalon 27/28 May 1961, it was a time when women’s participation in most sports was classed more as a novelty than serious competition. Beth won that day, and along with all the girls who competed probably did something for women’s surfing that wasn’t really recognised at the time. Competition surfing obviously continued to develop and some of the girls went with it, but most just went surfing. Beth continued surfing but marriage and children came along and surfing took a back seat. Maurie was arguably one of our best big wave surfers, one of the original four “Bower Boys”. He had travelled the world before it was trendy to do so and was also a very keen fisherman. They moved to Seal Rocks in the 1970’s, this catered for all the thing’s they enjoyed in life. Family came first but surfing was never far away and although Beth didn’t ride a board much any more she was always in the water. On the nice peaks at Treachery in a summer nor’easter she would body surf and always looked at ease. 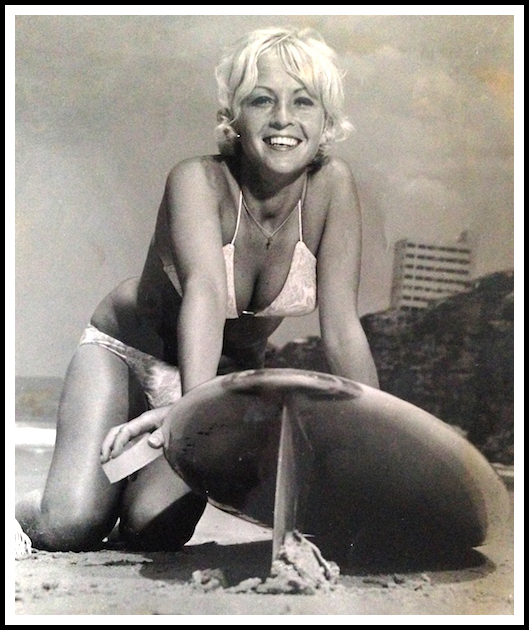 So times have changed since the early sixties, but Beth still has that sparkle in her eye when you mention those days, the sign of a true surfer. 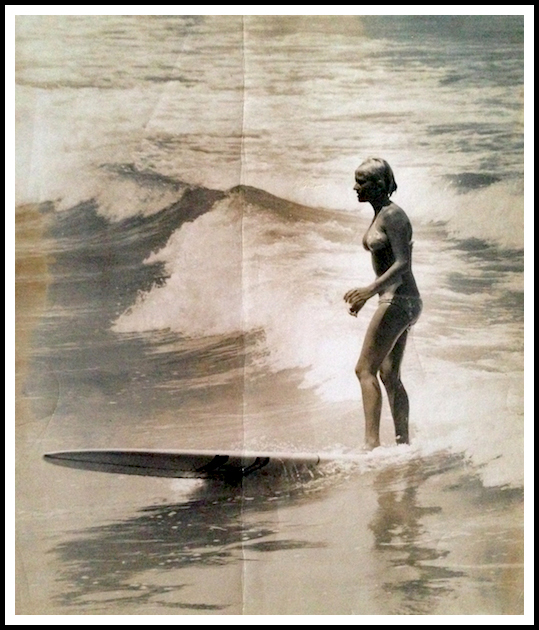 Endnote: Beth’s brother Dave was an employee of Bennett Surfboards in the early 1960’s. A big surf pioneer and great waterman he sadly passed on early this year. There is a paddle out and memorial at Freshwater Beach on the 7th of September. Words by Bryan Hughes, photo’s from the Lee Family Collection.